If there’s one thing I cannot do without during my gluten-free holidays it’s the Udi’s. From the stuffing, to the easy dessert options, I’m all over it. This holiday the good people of Udi’s sent me a box of products to see what I could make of it. Oh, I made of it. I made of it, good. 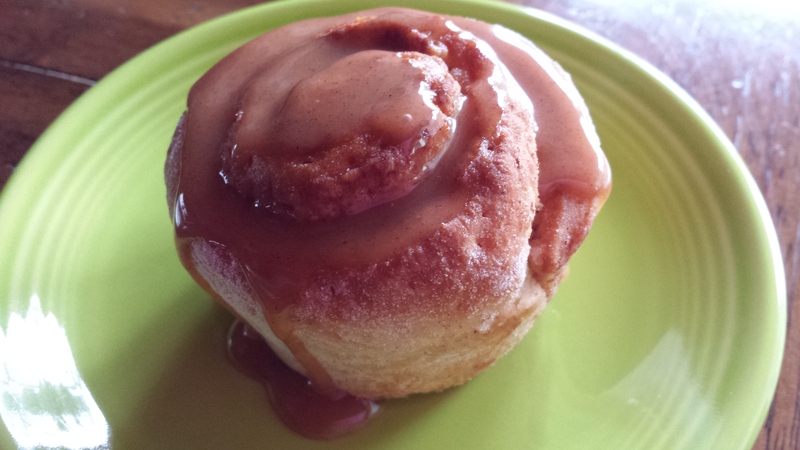 There’s really nothing more home-y than having cinnamon rolls for breakfast. Udi’s has got you covered with the gluten-freeness, and I like to pop them in the oven first to get them all toasty and warm. That makes the yum sauce go on even better, and I can pretend like I’m just a normal food-eating person on Christmas instead of a g-freaky gal. I like that. 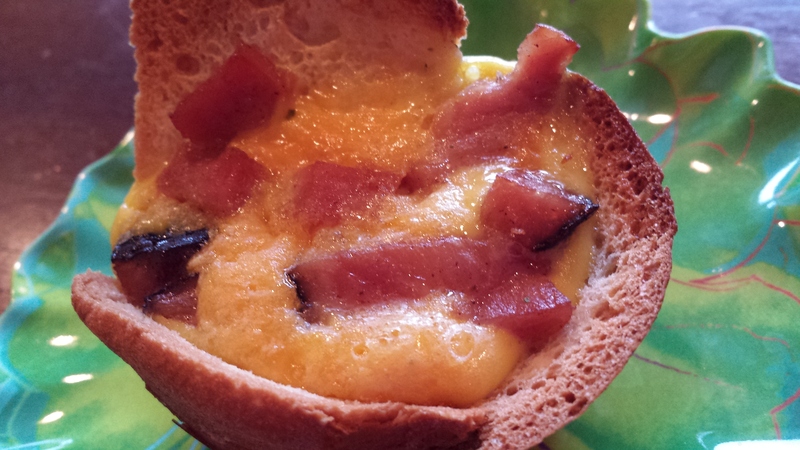 For the kid’s table, or the big kid’s anytime, here’s one of my favorite things I’ve done with Udi’s bread thus far: Oh, it’s just a ham, cheese, and egg souffle’ish action that I adapted from another fave cookbook of 2013—Savory Bites. They cook everything in a cupcake pan, you guys. Which means, gluten-free bread will be up in my cupcake pan all year long. Thanks Udi’s! It’s super simple, you guys. You just spray your ol’ cupcake pan, put a piece of g-free Udi’s bread inside, pushing in the middle. Place a dollop of grated cheddar on top, followed by small pieces of fried ham. Next, you beat 8 eggs together and add 1/4 cup of milk, salt and pepper. Divide the egg mixture evenly and pour on top of the 12 cups. Bake at 350 for 20 minutes. I highly recommend you eat while warm. As if you could resist. Now you can’t talk apps without the Udi’s either. 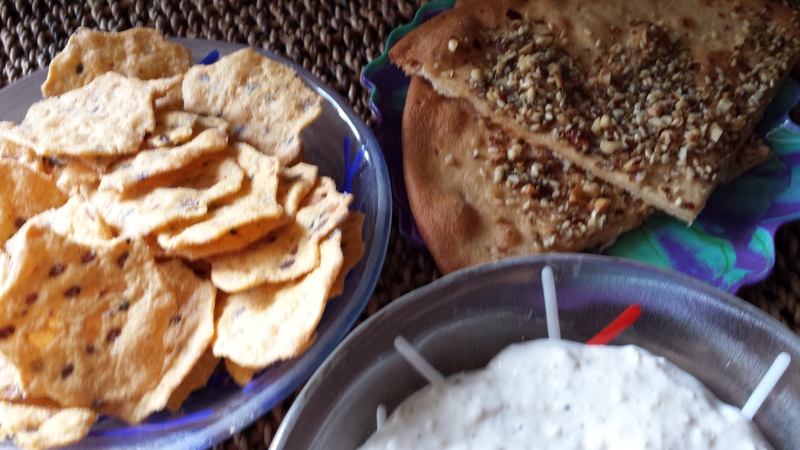 This is a bit of a two-fer as I could go with the Ancient Grains chips as a dip partner, or I could bust out the Udi’s pizza crusts, brush them in olive oil and sprinkle the Dukkah spices all over to create a slightly Middle Eastern tasting crusty bread after toasting it up in the oven. Dukkah spices are basically fennel, almonds, salt and other random delicious spices. It’s now sold at Trader Joe’s but you can mix it up yourself. I personally feel the fennel is what defines it, but maybe it’s the coriander. Either way, a great treat. And you’re all exotic and stuff. 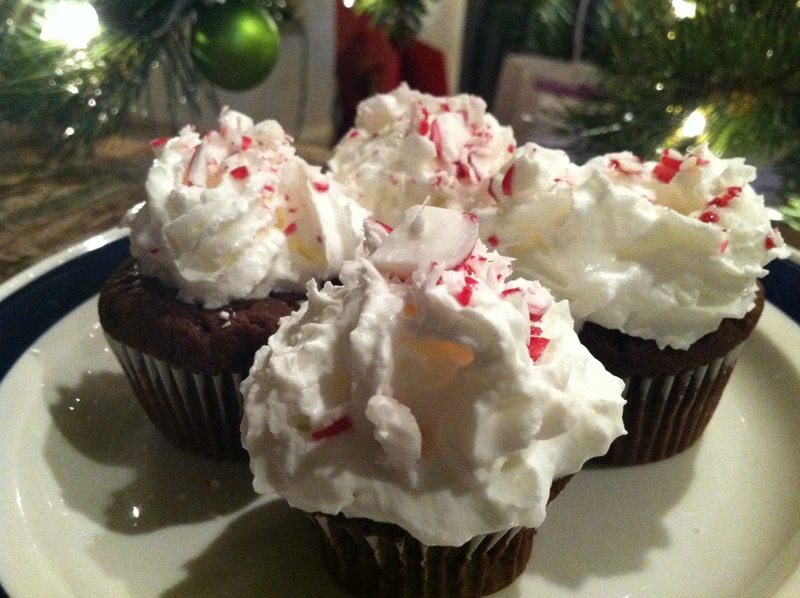 And if you didn’t see my most easiest Christmas dessert thanks to Udi’s last year, well, it’s all right here my friends. Oh, and here’s a picture! Have a very, very, very, merry gluten-free holiday you guys! Tags: gluten free christmas, gluten free dessert, gluten free holidays, gluten free recipes, gluten-free treats, udi's. Bookmark the permalink. I liked the chocolate muffin, but not the cinnamon roll. Maybe because I microwaved it? Yeah, I would not microwave any gluten-free bread products. The muffin is great!